I get teary every time, I don't mind admitting. 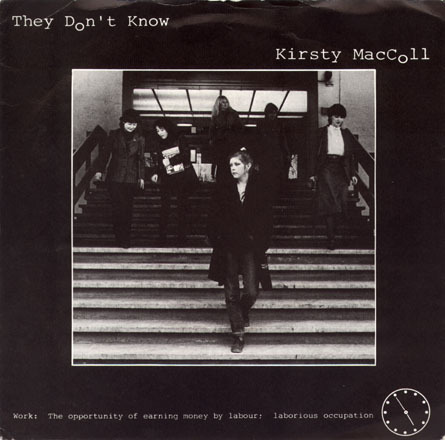 Kirsty MacColl wrote the song, but it wasn't a hit for her due to distribution problems at Stiff. So the Tracey Ullman version is probably better known. The two versions are very similar and I just can't choose between them. Kirsty's trademark deadpan vocals add a sense of pathos lacking from the more emotive Tracey (comparatively, of course), but the Phil Spector-esque wall of sound production on the second version suit the song better. 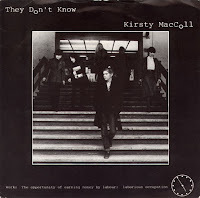 And in any case, I believe that Kirsty's doing all the harmonies (a MacColl trademark, of course) on the Tracey version too. The best song New Order never made? 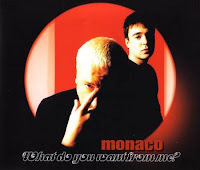 While some have attributed the (limited) success of Monaco - and in particular this song - to its similarity with New Order and the fact that they weren't making music at the time, that ignores the sheer pop brilliance of this track. The chorus is fantastically catchy. The guitar in the bridge is great. And Peter Hook's bass strides through the mix with the kind of metronomic imperiousness only he seems capable of. Absolutely unstoppable.